This doesn't look like diet food! 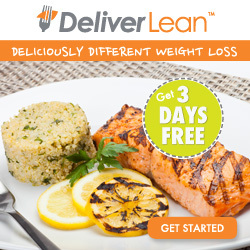 DeliverLean is South Florida’s premier gourmet meal delivery company, with a kick...it was created to help you lose weight! DeliverLean offers a flawless combination of fresh, preservative-free gourmet meals combined with a white-glove, hand delivery service directly to your home. 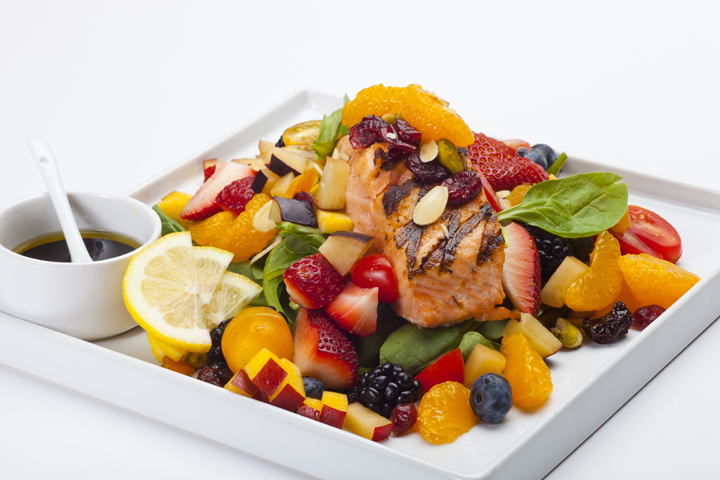 The meal plans are curated by DeliverLean’s Gourmet Chefs and directed by in-house dietitians and nutritionists. It's like having your very own personal chef! Did I mention the best part?? All meals are approximately 300-400 calories and are prepared with lean proteins, low-glycemic carbohydrates, high-fiber fresh fruits and vegetables and healthy fats! Saves you the time of having to research all of your foods in the store. You want desserts? Baked by DeliverLean, is a baked goods line handcrafted by DeliverLean’s pastry chefs. Baked goods can be incorporated into consumer’s daily meal plans for an effective weight-loss program. Desserts range from 90 to 300 calories each. Gluten-free baked goods are available upon request. Baked items are $3.25 additional. OnJuice is a line of 100% organic, raw, cold-pressed juices made with the finest organic fruits and vegetables, made fresh in DeliverLean’s kitchen and delivered to your door. There are 14 flavors available. OnJuice is a complementary component to DeliverLean meal plans or can be enjoyed on their own or as part of a separate juice cleanse. Hey South Florida, DeliverLean is now serving a market area from Jupiter to Kendall! Oh yeah, they'll come to you! And check out this special: sign up for 1 month at $24.99 per day and get 3 days FREE! This is perfect for all exhausted moms who are looking for a healthy food alternative!! Check it out! ive heard some awesome things about deliverlean-it looks great! Definitely not like your typical diet food! The food is really good and I was surprised at the size of the portions considering everything is almost under 500 calories!